Easter in Naples? It is the most beautiful gift you can give yourself. 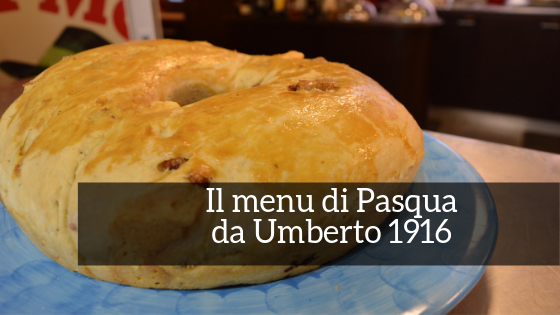 For the traditional Easter lunch we suggest the menu of Umberto 1916, a Chiaja’s centenary historic restaurant! A glass of red wine "Aglanico del Sannio"
Here it comes the new winter menu signed Umberto 1916! The new seasonal menu by Umberto in the sign of the Slow Food snail! Umberto Restaurant is always improved for you: from 18 August to 2 September we are closed for renovation!